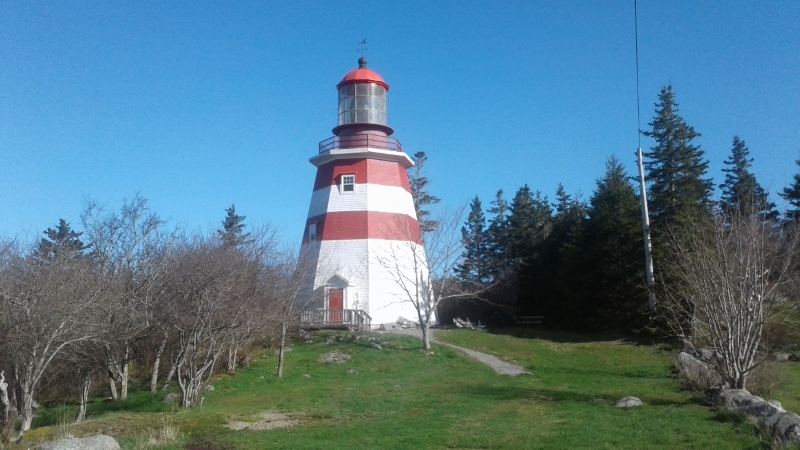 First stop today is Barrington Lighthouse (NS)….we made breakfast there. back roads to see what would show up in the way of possible overnight spots. Blanche Point provided us with the perfect spot….down a sparsley populated peninsula with a beach and awesome views…and just a few houses. 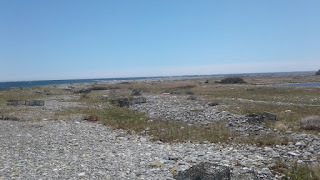 We took a walk on the beach (several actually) and down a spit of land that was really just an extension of the beach (think lots of rocks to walk on). 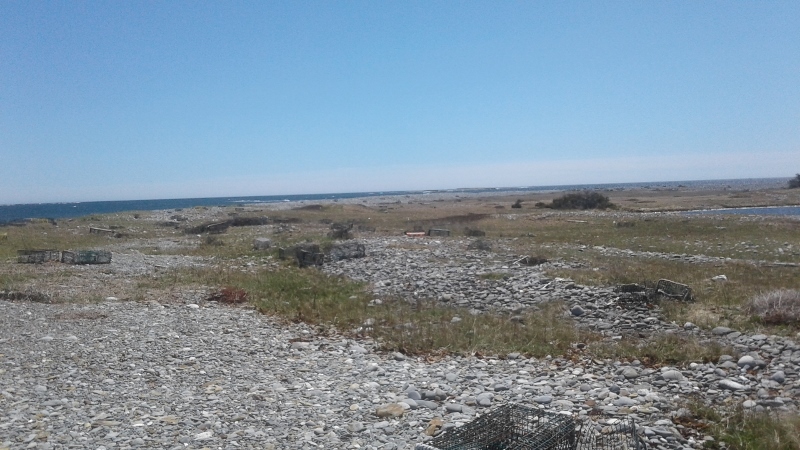 I found MUSSELS to collect (low tide) and eat which kept me busy for maybe a couple of hours making one trip with 12 specimens; cooked and ate them. Decided to go back and get more (24 more to be exact). A quick cook in ½ water and ½ fresh lime juice…baby mussels to be more specific as the insides were just ½ to 5/8” long. They were delicious and all mine. David doesn’t do any kind of fish/shellfish. He on the other hand occupied himself with walking out on the spit of land to the farthest point…after he waded across the part the water was running over. We got permission to stay the night from a local women. Apparently Donna underestimated how long it would take to get a look at Nova Scotia so we will be spending some more time here picking our way around this province. I had planned 7-10 days; clearly not enough unless I want to sit in motorhome way too much. After awhile it drives me nuts to sit all the time and my back screams. 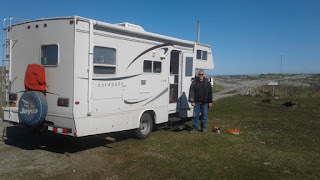 Hikes are a wonderful way to explore Nova Scotia and get us out of the motorhome…or walks on the beach.